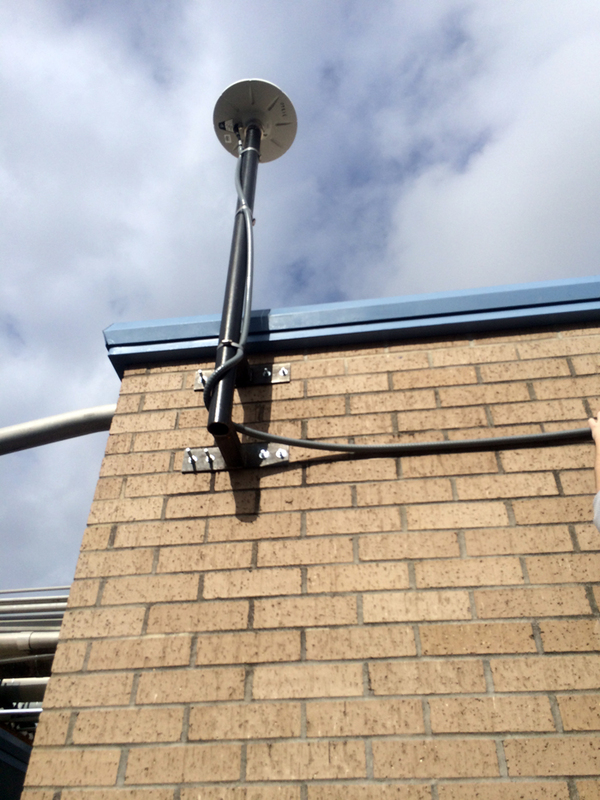 UNAVCO is supporting the design and construction of more than 40 new permanent GPS stations in the greater Houston metropolitan area. This network, called HoustonNET, will provide data for a study undertaken by Dr. Bob Wang from the University of Houston to measure ground subsidence in the region. 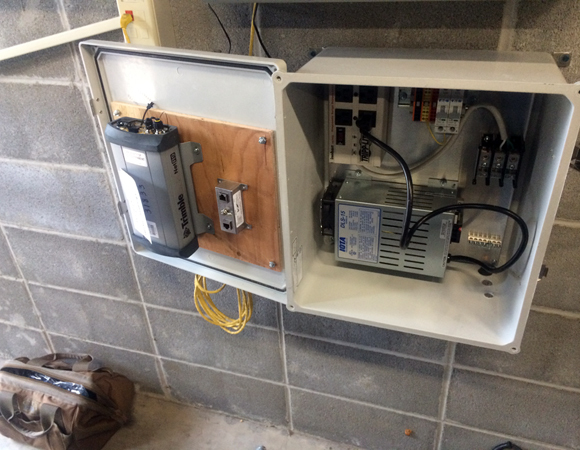 In January of 2014, UNAVCO engineer Sarah Doelger traveled to Houston to install three new permanent GPS stations. 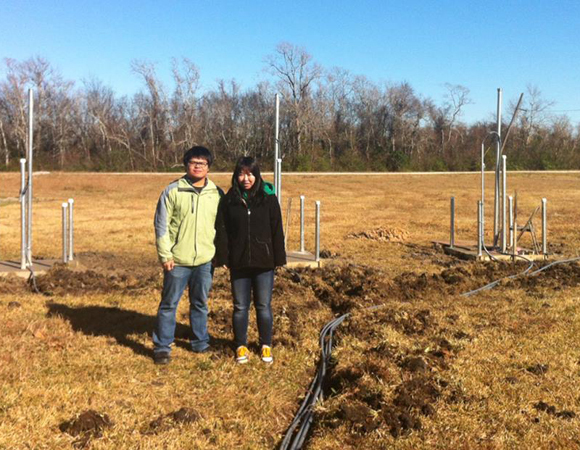 She also trained Dr. Wang’s graduate students to install permanent GPS stations by themselves. Houston is a city naturally prone to flooding because of its low elevation, short distance to the Gulf Coast, and network of manmade canals running through its urban core. Floods result from high tides, heavy rainfall, and tropical storms. Ongoing regional subsidence due to withdrawal of water and oil from the ground further increases the threat of flooding. 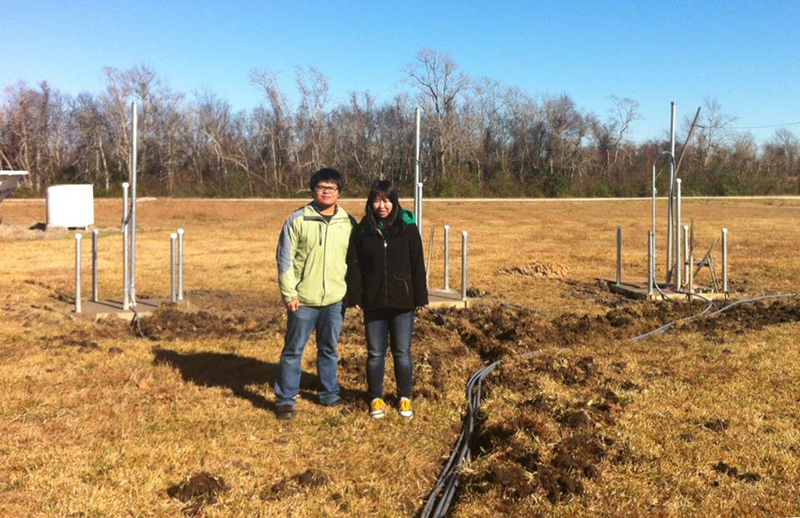 Dr. Wang plans to use the GPS data from HoustonNET to generate very accurate ground deformation models that he hopes will influence the management of subsurface fluid withdrawal. Additionally, permanent weather stations will be co-located at three of the GPS sites to provide real-time water vapor and atmospheric observations. These data will be used to improve hurricane intensity forecasting and local severe weather warnings. Locating sites for permanent GPS stations is challenging in large urban areas. 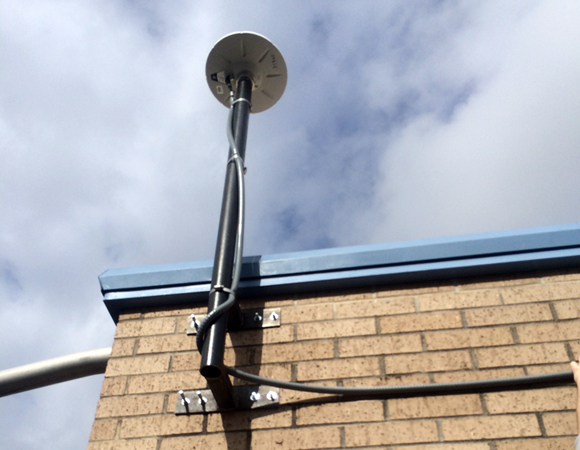 GPS antennas are generally mounted in competent bedrock in order to accurately track ground movements. In Houston, where there is no exposed bedrock, the next best option is to install the antennas on reinforced concrete buildings with deep foundations. Few buildings with good sky view and limited interference from radio or cell towers exist in Houston’s urban core. When acceptable buildings are identified, securing permits can be difficult and paperwork-intensive processes.